Alien Hive developer Appxplore has announced the launch of its newest mobile game, Caveboy Escape. The game mixes match-three play with tile connecting puzzles, and challenges players to help Caveboy escape a labyrinth, three squares at a time. While each level of Caveboy Escape has a different tile layout, and that layout may appear to be random, there’s actually a set path players will need to take to reach the exit for the stage. Players move Caveboy through each maze by dragging him across groups of three matching tiles at a time, turning corners and following the path to the exit, three squares per move. Levels become increasingly complicated over time, with additional squares to navigate, and the addition of keys which must be collected before the exit is accessible. Once players collect enough stars, they can take on survival mode, working to clear as many rooms within the labyrinth as possible before finally running out of time. 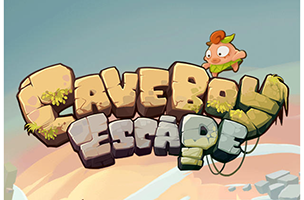 Caveboy Escape is now available to download for free on iOS and Google Play. Check back soon to follow the game on AppData, our tracking platform for mobile and social apps and developers.